Since 1990s, Vietnam (Việt Nam) has been opening the doors to the tourism. 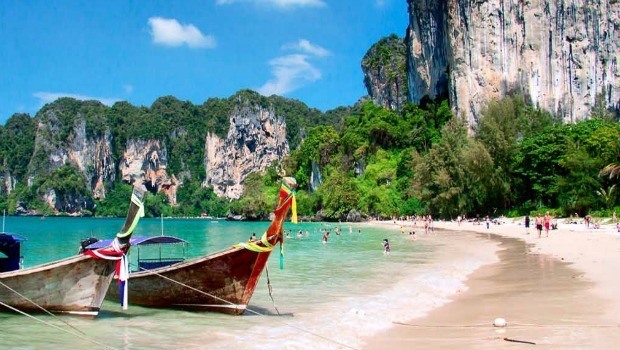 Despite the relatively long stages of isolation and a history of fierce war has not produced a tourism paradise like Thailand, the infrastructure and facilities in this country are changing quickly. Now, Vietnam is one of the most popular destinations for adventure holidays thanks to the diversity of experiences available. These days, there is one thing about Vietnam that stands out which is the remarkable speed at which the country develops. 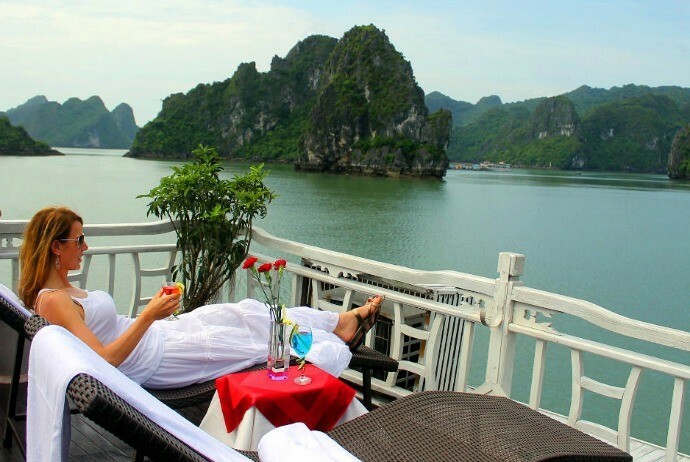 If you are looking for Vietnam adventure holidays, then you are the right place because here we collect top 10 out of most recommended tours for Vietnam adventure holidays. Take a look! Vietnam Adventure Holidays – What Are The Best? 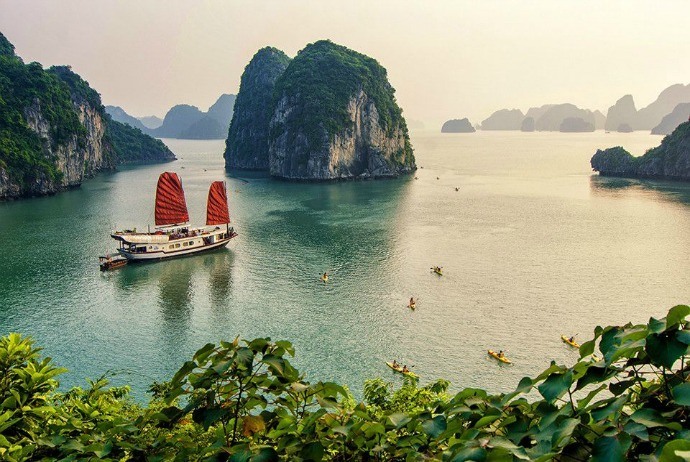 This family adventure holiday in Vietnam is really a discovery trip with some noticeable features like a cruise on a traditional junk in the famous Halong (Hạ Long) Bay, white sandy beaches, an overnight train to Hue (Huế), and more. In details, the tour guide will take you to explore a floating village, ride through green rice paddies, paddle in the bamboo basket, and cruise on a traditional junk, go fishing as Vietnamese style, and sleep overnight on a train. You will have a lot of chances to discover this friendly and vibrant country. It is almost sure that it will delight you as well as stimulate your own senses. With this holiday, you can explore the hustling Hanoi (Hà Nội) by cyclo (also known in Vietnamese as “xích lô”), go cruising on a traditional junk via the network of peaks and islands in Halong Bay and witness local fishermen work. The famous Reunification Express will take you on an overnight train journey to hit Hue (Huế) – the old imperial capital of Vietnam, set on Huong (Hương) River. Then, visit the old port of Hoi An before enjoying white sandy beaches. Later, cruise along Mekong Delta with floating markets and go catching fish with friendly local people. With this tour, start your trip from London and fly overnight to Hanoi (Hà Nội). Upon arrival, you will check in a hotel where the afternoon is all free for you to relax or explore the surrounds. In this 3rd day of the tour, you will visit some fascinating sites of Hanoi (Hà Nội) like the Temple of Literature. Enjoy a cycle rickshaw tour via the Old Quarter and see the bustling of this busy but charming town along with its maze of streets. Then, visit Ngoc Son (Ngọc Sơn) temple which is located on a tiny island on the famous Hoan Kiem (Hoàn Kiếm) Lake (also known as “Sword Lake”). After that, watch a water puppet show, which is a delightful performance of puppets, music and songs. Come back to your hotel. Drive to Halong (Hạ Long) Bay, a World Heritage Site, where you could board your boat and then cruise among limestone peaks. Later, swim in the blue sea and discover amazing caves filled with gorgeous stalagmites before spending a whole night on board a sailing junk. This day, you wake up early to contemplate a stunning sunrise over the quiet bay. Then, the junk sails around islands, return to the port and back to Hanoi (Hà Nội) in which you will take an overnight train to the ancient city of Hue (Huế). Upon arrival to Hue (Huế) city, which may be the nicest city in Vietnam, you check in a hotel, and then visit the ancient citadel including a former Imperial Palace. After having lunch and relaxing for a while, in the afternoon, you enjoy a pleasurable Dragon Boat cruise along the peaceful Perfume River, stopping at one of the most significant pagodas in the city of Hue (Huế) and the tomb of King Tu Duc (Tự Đức). Travel along the coast, pass Lang Co (Lăng Cô) beautiful beach and cross over Hai Van (Hải Vân) Pass to head up to the charming port of Hoi An, one of World Heritage Sites which are beautifully restored as well as preserved. Ride a bicycle to head to the countryside via rice paddies. Arrive in Tra Que (Trà Quế) village where you can learn more about the history of this old village. After that, come back to Hoi An (Hội An) and take a river cruise to meet local fishermen and experience river net fishing with local people prior to paddling a bamboo basket boat to explore the coconut palmed waterways of the area. In the 9th day of this tour of Vietnam adventure holidays, you will be transferred to Danang (Đà Nẵng) airport and take a light to Saigon (Sài Gòn) – the busiest, most dynamic city of Vietnam. This city has an interesting blend of both old and new, east and west. In the afternoon, you visit the Reunification Palace, Notre Dame Cathedral, Old Post Office with the accompany of a tour guide. Later, visit the famous Ben Thanh (Bến Thành) market, a thriving market providing both food and clothes. This day, you will head south into Mekong River Delta, which is known as the bread basket of Vietnam, producing rice to feed the whole country, and even exporting. After having a scenic drive to the province of Vinh Long (Vĩnh Long), take a boat via floating markets to get to an ancient house, contemplating the typical countryside life of Mekong Delta residents as well as beautiful landscapes along your way. Come back to your hotel in Ho Chi Minh (Hồ Chí Minh) City after that. Visit the remarkable Cu Chi (Củ Chi) Tunnel complex, which used to be a guerrilla base for local soldiers during the independence war against France, and then get to know more about the history of its establishment. Later, in the evening you will be transferred to the airport for flying back to the UK. With this tour of Vietnam adventure holidays, you can visit some of the major tourist attractions of Vietnam whilst veering far off the beaten path. From the busy streets of Hanoi (Hà Nội), to sky scrapers and bright lights of Ho Chi Minh (Hồ Chí Minh) City, your ride will be customized offering a slow-paced picture of Vietnam on the move. You will meet your tour guide at the airport and then transfer to your hotel. The rest time of the day is free for you. Your tour starts in the capital of Hanoi (Hà Nội), where you can visit Ho Chi Minh (Hồ Chí Minh) Mausoleum, the Old Quarter and the Temple of Literature. Then, transfer from your hotel to the train station to take an overnight train journey heading to Hue (Huế) – the former Imperial capital of Vietnam. In the early morning, the train will roll into Hue (Huế). This is a great place for you to learn more about the reign of Nguyen (Nguyễn) Dynasty. This tour consists of stops at the mausoleum of the emperor, the imperial citadel, Thien Mu (Thiên Mụ) Pagoda. This day, you will have a chance to challenge yourself by riding a bike to the top of Hai Van (Hải Vân) Pass, which is above 500 meters the sea level. Then, in the late afternoon, arrive in Hoi An (Hội An), the old port of Vietnam. Many of the colorful old buildings or Hoi An (Hội An) have been lovingly refurbished, and this town currently has a vintage vibe. The activities you will do in this day are totally up to you. You can pop into the tailors and order a new outfit, or join in a cooking class, or spend your day on relaxing on the beautiful beach. Take a mid-morning bus and cycle to the My Lai (Mỹ Lai) village. There, you will find a concrete, stark memorial for those villagers dying in a 1968 massacre by the American troops. The massacre was uncovered by an American journalist, and it reverberated through the society of American and supported the antiwar movement. Today, you will ride your bicycle both in and past the bridges, villages and forests. Interestingly, the roads will get steeper when you near the central Highlands of Vietnam, which is considered as the centre of the coffee industry of Vietnam and also the home of some ethnic minority groups. The cool air along with mountainous scenery is a huge contrast to the hotter, flatter provinces. What you are going to experience is this day is very meaningful. You will cycle pass many tea plantations as well as ethnic minority villages. Climb several hills, you take a rest in Buon Me Thuot (Buôn Mê Thuột), the coffee capital of Vietnam. In fact, Vietnam is one of the largest exporters of coffee in the world by quantity, and the signature robusta beans are very strong. So, beware of the caffeine rush! 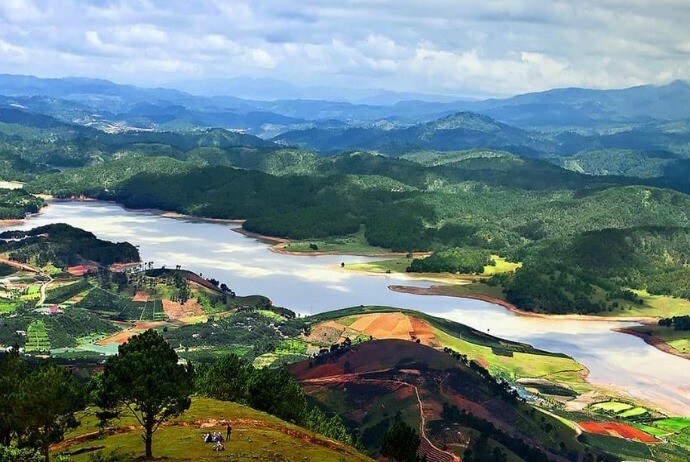 Take a ride through mountain scenery to head to Dalat (Đà Lạt), a favorite destination for Vietnamese honeymooners and also a hill town for cool retreats. The scenery along the way is promisingly breathtaking when you are on arrival in the afternoon. Ride around the town of Dalat (Đà Lạt), pay a visit to the Summer Palace of the Emperor Bao Dai (Bảo Đại), Xuan Huong (Xuân Hương) Lake, and a busy local market. In the past, the emperor came here to get away from the heat of Hue (Huế) due to the ideal temperature as well as beautiful scenes. 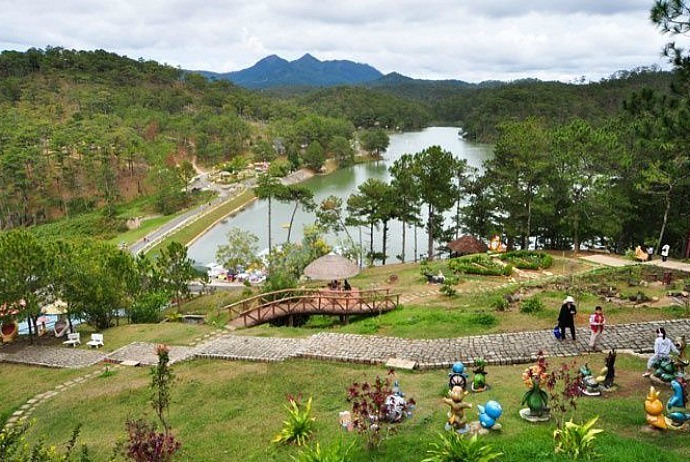 It is easy to understand why once you arrive in Dalat (Đà Lạt). Take in the sounds and sights of this mountain retreat. In this day, you will travel from Dalat (Đà Lạt) to Nha Trang , which is among the most popular beaches of Vietnam. Pass through rustic minority villages prior to reaching kilometers of pristine white sandy beaches. Nha Trang used to be the base as well as air training centre for the troops during Vietnam War, today it is full of weekenders and glittering hotels from Saigon (Sài Gòn). Take a whole break from your bike. Really, Nha Trang is a perfect spot for relaxing, snorkeling, swimming or simply reading books. Arriving here and your tired limbs will surely thank you. 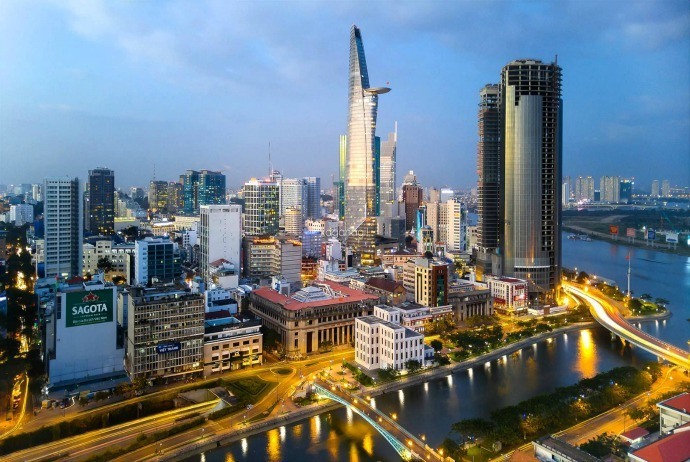 Take a morning flight to the commercial hub of Vietnam, Saigon, officially known as Ho Chi Minh (Hồ Chí Minh) City. Then, spend that afternoon on visiting Notre Dame Cathedral, the colonial-era post office, a museum about the famous Vietnam War and the presidential palace. Formerly, the city used to be called as Saigon (Sài Gòn), reflecting a pulse of such a changing Vietnam. Here, you will find trendy cocktail lounges alongside the ramshackle noodle stands and hundreds of scooters whizzing by. Cu Chi (Củ Chi) tunnels are the underground complex sheltering Viet Cong (Việt Cộng) soldiers during the Vietnam War. These cramped tunnels were central to some of the strategies of the war, such as the renowned 1968 Tet (Tết) Offensive. There, you will have a chance to discover the remains of the American tank along with some craters which were left by those American B52 bombers. This tour could be emotionally draining for a few tourists, yet it also offers a realistic view into the traumas and hardship of the war. This is up-to-you day. Savor some last hours in Saigon (Sài Gòn) before going onboard your onward flight. 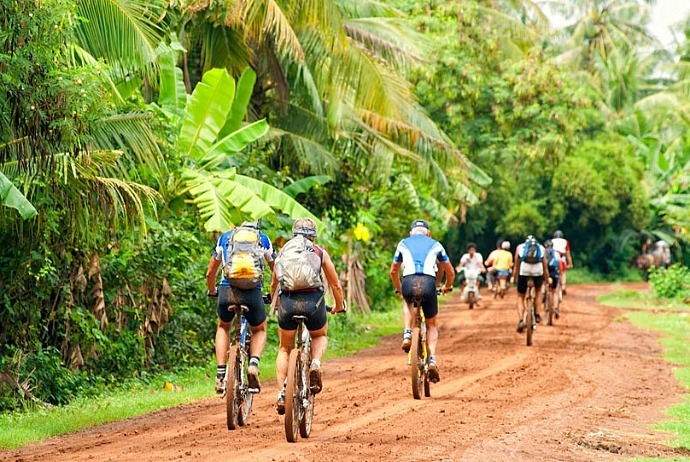 The cycling trips included in this tour could be properly tailored to fit any fitness level. From the mountainous northern frontiers and colorful ethnic communities in the town of Sapa (Sa Pa), to steaming flooded rainforest in the south, along with the largest cave system of the world in Phong Nha, experience the whole spectrum of the highlight of Vietnam in an action-packed trip. This journey allows you to combine thrill-seeking adventure with the real cultural experiences, fascinating visits to a few of the most famous heritage sites, and memorable but tasty street-eat tours, you will be able to experience the best of Vietnam on this tour. On arrival to Vietnam, your tour guide will wait for you at the airport to transfer you to your hotel. After taking a rest for a while, you meet your tour guide and head on the culinary adventure, tasting street food in the famous Old Quarter. It is a good chance to taste both wonderful and weird foods you see yet are not sure what they really are. 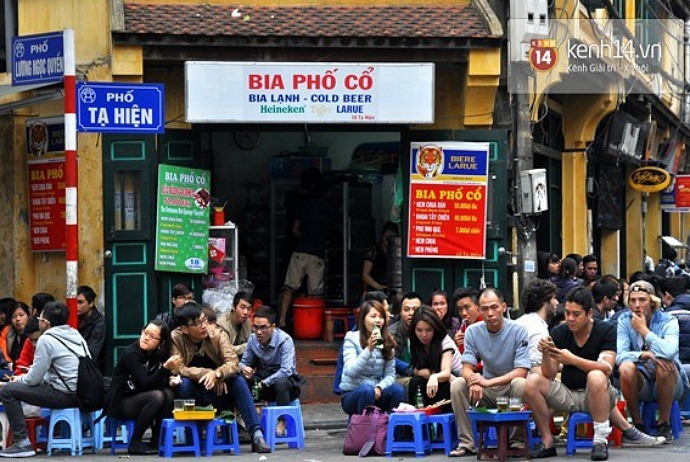 Begin your street-eats tour with the local brew at Bia Hoi (Bia Hơi) corner, a draft beer which trace its origins to Eastern Europe. Do as the local people do: pull up a small stool, get a drink whilst watching the world pass by. Keep moving through the narrow streets of the Old Quarter when your tour guide points out a wide range of delicious breads, noodles, and snacks. There, at night, all sidewalks are jam pack with local people perched on small stools, amongst bubbling pots and sizzling woks. You can sit down and enjoy flame-grilled Vietnam-style barbecue of chicken, beef, tofu, and veggies on skewers. Finish your night with the dessert from the best-known parlor of ice cream in Hanoi (Hà Nội). This is another day for you to explore Hanoi in different aspects. Start your trip to some of the hidden gems and highlights of Hanoi (Hà Nội) at the Ho Chi Minh (Hồ Chí Minh) Mausoleum that is housing the remains of the revered former Vietnam’s president, Ho Chi Minh (Hồ Chí Minh), the hero successfully leading Vietnam’s campaign for independence from colonial rule. Then, head onward to the famous Temple of Literature, the oldest university of Vietnam and also the ancient collection of gardens, courtyards, and architecture built on homage to the Chinese scholar Confucius. This establishment dates back nearly one thousand years. To have lunch, you can enjoy a traditional Vietnamese meal at Home restaurant, a renowned eatery around Truc Bach (Trúc Bạch) Lake area. The rustic decoration and yellow walls here hark back to the former life of Hanoi as a French colony. In the afternoon, you can follow the lead of your tour guide whilst weaving through a few of 36 streets of the Old Quarter, each street named for the products previously sold there. During your tour, pass by several of the remaining streets still selling the goods their own namesake, such as Bamboo and Tin streets. Later, head to some back alleys which are off the tourist trail to see the city at its authentic best. Peer into traditional and houses and temples, listen to the stories of Hanoi (Hà Nội), and meet locals who call this ancient city home. Take a cup of Vietnamese coffee at a café while overlooking Hoan Kiem (Hoàn Kiếm) Lake, which is a meaningful and important symbol of the folklore of Vietnam, and then go straight to a tiny island on that lake for visiting charming Ngoc Son temple. Next, enjoy a water puppet show for understanding more about the traditional performance art in Vietnam, head back to your hotel afterwards. 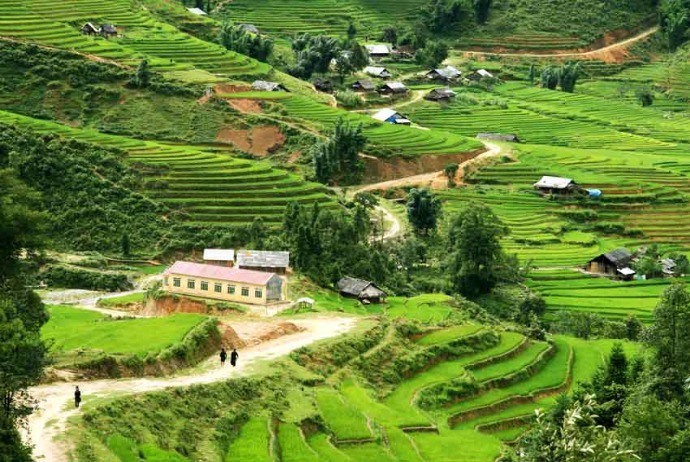 After a quick refresh, your tour guide will meet you again at your hotel and transfer you to a train station for an overnight ride to Sapa (Sa Pa). On arrival at Sapa in the morning, you will your tour guide at the chosen hotel, check in and walk south of Sapa towards Cat Cat (Cát Cát) busy village. Traverse through a few of the picturesque valleys in the area along the route allowing you to have a chance to explore Sapa town off-the-beaten-path. Go along a gentle incline in your own way, via emerald-green paddy fields which are located above deep river gorges, prior to arriving at the river bank. Have a quick rest and dip your toes into the cool water and watch local kids fishing with nets before going deeper through terraces and villages of Black H’mong ethnic community. Move at your pace and contemplate the best panoramas that Vietnam offers. Next, have lunch with a great view at the local restaurant prior to continuing via the valleys via Lao Chai (Lao Chải) village. Take a rest and taste a soothing cup of tea, learn the art of batik painting after that. Black H’mong’s beautiful textiles are famous for their complicated batik patterns as well as embroidery. However, the practice – an essential part of Black H’mong’s culture, seems to be under threat from the modernization and now just practiced by just a small number of villagers. Take part in a hands-on master class that is led by a local expert to understand and uphold their tradition before bringing your creation to your home. You will probably support a sustainable tourism project supporting local females and ensures that this amazing art form is maintained by the next generations. Later, you can head to the home of Ms. Moo and her family in which you stay overnight. Contemplate sunsets over the rice terrace fields and experience the herbal foot bath of H’mong before taking a tasty H’mong-style dinner. Just simply see how locals prepare foods over the open fire and listen to the sounds of nature and get to know about H’mong life as well as culture with your friendly hosts. In the morning, you need to wake up early and enjoy the view of sunrise over surrounding rice terrace fields. After having a delicious breakfast, you say goodbye to the family of Ms. Moo and head out along Muong Hoa (Mường Hoa) Valley towards the village named Ta Van (Tả Van). Then, trek along a high road and take in the unforgettable, picturesque views of surrounding valleys. 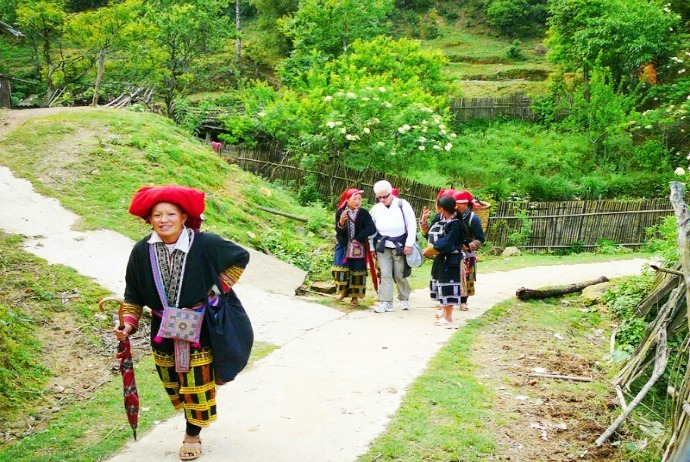 After your hiking, you arrive in Giay ethnic village in which you will be transferred back to the hotel in Sapa. After relaxing, you meet with your tour guide and go to the train station for a train ride back to Hanoi. Start from Hanoi, after traveling about 4 hours towards Halong (Hạ Long) Bay port by the shuttle bus, you will take a small tender boat in order to get to a traditional junk boat that is anchored offshore. After that, set sail to the outer reaches of Bai Tu Long (Bái Tử Long) Bay, passing by those amazing limestone karst formations emerging out of the blue water. Next, go kayaking and get a closer look at the incredible jungle-clad karst formations, which is the reason why Halong Bay is so famous. One of the great things about Vietnam adventure holidays is once taking part in, you could go through diversifying experiences with many attractions of Vietnam. For this 6th day of the tour, you will visit the Vung Vieng floating fishing village by a traditional row boat. Then, watch the life of locals there, which is shaped by the rhythms of the ocean for ages. Enjoy the last glimpse of Halong Bay over the early lunch when cruising back to the Halong Bay port. Whilst coming back to Hanoi, you can stop at Yen Duc village to see a traditional show of water puppet, which is an ancient art form of Red River Delta. After that, keep going to Hanoi so you can arrive in the city in the afternoon. In this day, your tour guide will meet you at your hotel and transfer you to the airport for a flight. In the morning, after having a breakfast, go to Phong Nha and pass by Tan Hoa village, which is about 70 km away from Phong Nha. Get a safety briefing prior to take part in your adventure. Start with a 2.5 km hike across the nice patty fields bordered by Rao Nan River, then climb about 30 meters up the rocky hill to a jungle opening, keep moving with a 100m descent to the valley of Hung Ton. Have lunch at Hung Ton Cave’s mouth prior to joining in serious trekking. Next, you travel across Mango Mountain from the valley of Hung Ton before heading back down again into another valley – Tu Lan. It takes about 3 kilometers for this moving. After getting to your campsite, you swim onwards to explore Ken Cave located onsite. After the first day of challenging, you sit down and relax with scrumptious BBQ dinner along with campfire and hammock-slumber in the rhythm of nature. Start the day with a tasty breakfast prior to going diving, literally. After exploring dry and wet sections of the cave named Tu Lan, you return to your campsite for having lunch before taking an enjoyable but challenging swim of 450 meters and another trek of 500 meters through Hang Kim Cave, leading you to To Mo Valley. At that point, swim onwards via Hung Ton Cave in order to reach a dry passage within. 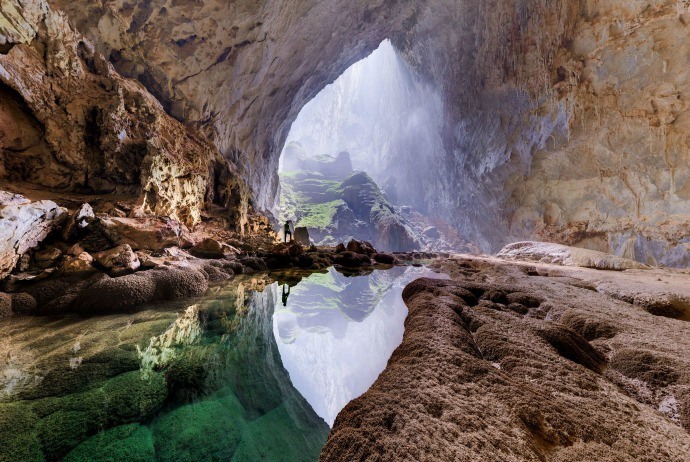 Keep trekking another distance of 800 meters across the cave of Hung Ton and climb over the small rocky mountain to Hang Chuot – affectionately called as “Rat cave”. Right after discovering 300 meters of that cave, you wind down by crossing back a river named Rao Nan and via many picturesque fields to reach Tan Hoa. Here, you can have a cold drink and take a shower before coming back to Phong Nha. 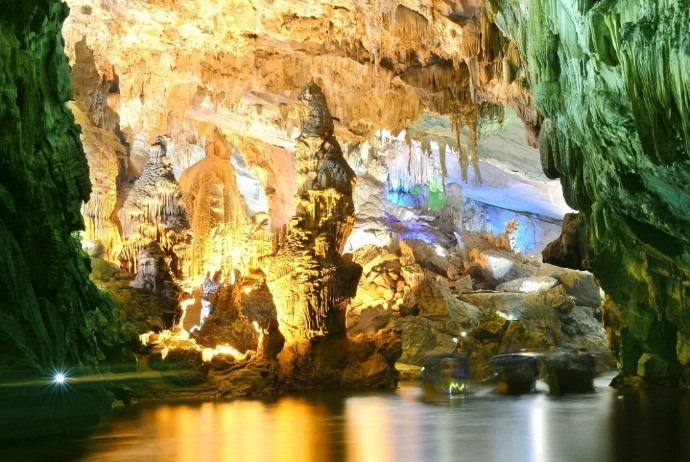 As the schedule, you will arrive in Phong Nha in the late evening. This day, you will drive to Hue imperial capital. Upon arrival to your hotel, you can explore the areas around at your own leisure or take a chance to recharge and relax. Being the former capital of Vietnam during Nguyen Dynasty, the ruins of the regal past of hue could still be seen within the Imperial City and the Citadel. Built in the 19th century, this Imperial City was designed basing on the inspiration of the Forbidden city in Beijing, China, and holds a lot of temples and palaces within its huge walls. A number of the buildings have been ruined by war over time and are not being restored to their original design. You can enjoy a wander around the citadel before having a short trip into the surrounding rural area to witness the final resting place of Vietnam Emperors at the most impressive Royal tombs available in Vietnam. After that, take a boat ride along the famous Perfume River before visiting Thien Mu Pagoda. Today, you will drive south to the ancient town of Hoi An over the picturesque, scenic Hai Van Pass, which may be the most scenic stretch of the coastal road available in Vietnam. 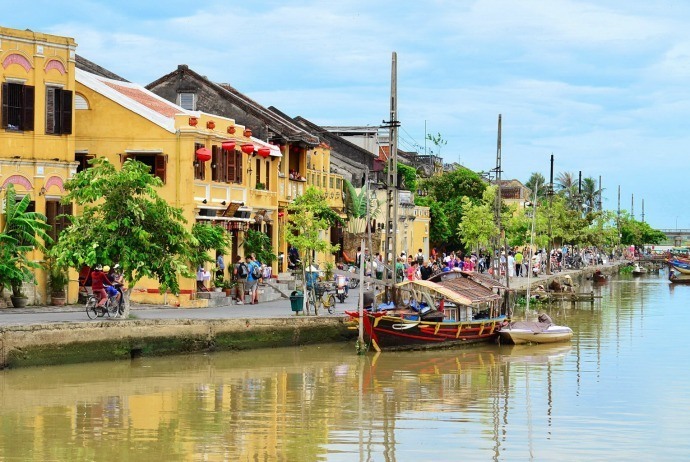 You can explore the ancient town of Hoi An, which used to be a trading port welcoming Dutch, Chinese, French, Portuguese, Arab, Japanese merchants during the period of 16th to 18th centuries. It is one of the most charming coastal towns of Vietnam, and is home to many of the most beautiful ancient architecture of the country which was inspired by Chinese, Portuguese, and Japanese culture. Begin your walking trip with a short stroll through the interesting streets lined with honey-yellow buildings and lanterns to arrive at your initial stop – Chua Ong Pagoda. The pagoda’s structure was inspired by Chinese architecture dating back to 1653, and the interiors still wafts the sweet smell of the incense throughout the day. From there, you can walk onwards to nearby Phuc Kien Assembly Hall and Junshang Temple, which is dedicated to the Sea Goddess. After going pass by Tan Ky House with a history of 200 years, you take a short rest at the Japanese Covered bridge, which is among the most iconic structures of Hoi An. Then, at the reaching out Tea House which is an establishment aiding local people with disabilities, you can sit down to enjoy a cup of rejuvenating tea before having lunch associated with the cooking demonstration at the traditional restaurant specializing in Hoi An specialties. Next, hop on a cycle to head out towards Cam Thanh Village which is a community situated in the suburb of Hoi An center. You will visit a local family in this village to interact with locals there and discover interesting information about their life. At the nearby river, you hop in a bamboo basket boat to hit a water-coconut forest and board a boat bound for the center of Hoi An. You then take in the beautiful riverside scenery along Thu Bon River, wrap up your trip with the sunset cocktail at a famous rooftop bar. In the morning, your tour guide will meet you at your current hotel and pick up you to transfer to the airport for flying to Saigon. On arrival, the tour guide will meet you at the airport to transfer you to a hotel. Relax a little bit before heading out once gain to enjoy interesting things about this city. Start your tour in Saigon by visiting the War Remnants Museum. There, you will find displays of military aircrafts, weapon items, and a large collection of grim pictures, obtain a sobering insight into the darkest as well as most tragic stages of the city during the Vietnam War. Despite nowadays many of Vietnamese people are too young to remember it, the legacy of itself still felt fiercely across the society of Vietnam, so you will still be able to experience Vietnamese culture in a more tangible view. After that, visit the Reunification Palace, which used to be a symbol of the South Government of Vietnam. Witness the warm room, the presidential office and the banquet hall. Next, continue to the Central Post Office, designed by Gustave Eiffel – the famous French architect, and spend a moment on sending a postcard there. 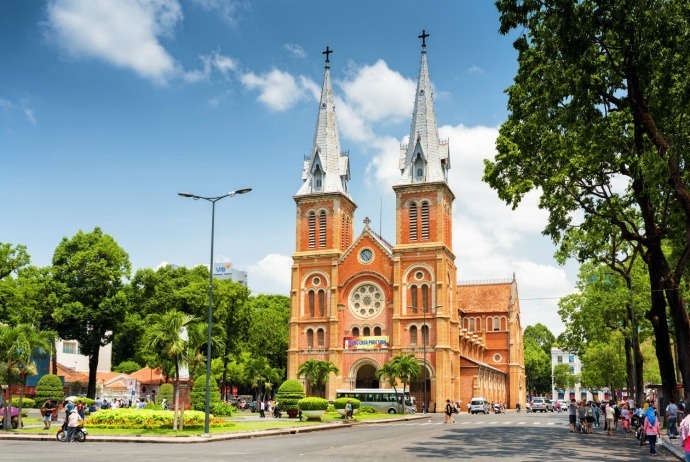 Behind this post office is the iconic landmark of Saigon – the Notre Dame Cathedral. Nowadays, this is the favorite backdrop for a lot of Vietnamese wedding photos. Later, stroll down the busy Dong Khoi Street. Your walks will stop at Saigon Opera House. This Opera House has had a noticeable history of being used as the bomb shelter or a Parliamentary building. Finish your tour with a speedboat journey along the ancient canals of the city where the life still continues without much change from the bygone era. Come back to your hotel when the sunset settles in this city. In the evening, you can discover Saigon’s culture on a culinary adventure in the city center. Stroll down small alleys and witness the streets get lively at night. With the help of the tour guide, you can try some fascinating local food. Start your eating adventure with the rice paper pizza which is unique in Ho Chi Minh City, followed by banh beo, fresh snail dishes, and a Vietnamese pancake which is known as banh xeo. Complete your night tour with a dessert at one of the favorite spots of locals. In the next morning, simply leave the city behind and travel approximately 2 hours to hit Cai Be – the gateway to Mekong River delta. After that, hop aboard the small boat to travel along winding waterways to see how the life of local people living along the delta happens. Stop at Dong Phu and An Binh, in which you could see small family run factories producing matting, oil coconut wine and candy. Then, you can visit a French colonial house with over 150 years old. After having a stop for lunch, keep continuing your tour by hopping aboard another boat to head to the ferry hub of Vinh Long province. Take the car to head to Can Tho and you will arrive at the city in the later afternoon. 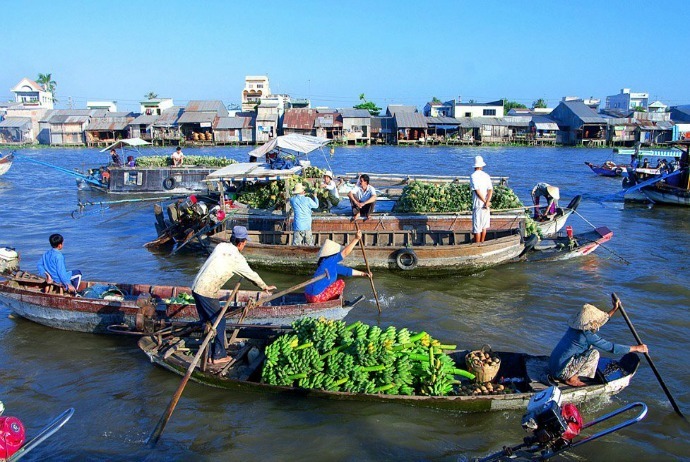 Start early your day with a boat ride to the floating market of Can Tho. Experience the bustling of vendors trading their goods with each other with their boats filled with veggies, fruits and household goods. Then, head off to Chau Doc, which is a sleepy riverside town, approximately 3 hours by road. There, from Chau Doc, you head to Tra Du forest and go travel by sampan boat via endless waterways flanked by lush greenery and mangroves. This system of eco-reserve spans about 850 hectares and is a heaven for rich fauna and flora – with over 100 species of water birds as well as huge shelters of bats. Along the way to the forest, you will pass by a small village of the ethnic Khmer where you can learn about the role of Buddhism in their community and have a chance to communicate with monks at the monastery. Leaving the Delta behind, you travel to Saigon by car through a scenic journey lasting for seven hours or so. Make use of various stops along the way to see beautiful scenes and take pictures. The last day of the tour, your tour guide will see you at the hotel to transfer you to the airport for a departing flight. Vietnam is considered as a paradise for foodie and part of the pleasure is to discover the endless range of cuisines across northern, southern and central areas. This tour of Vietnam adventure holidays will include many stops at highly recommended restaurants as well as cooking schools, plus with several must-see cultural highlights. This offers the look of an insider at a cuisine which is popular in global cities like London, New York, and Paris. Your gourmet experience will start in Ho Chi Minh City. Basing on the time you arrive in Saigon, you could spend the rest time of your time at leisure or a visit to Cu Chi tunnels could be arranged. In the morning, you will be picked up from your hotel at about 1:30 pm or 2 pm and drive to the War Remnants Museum in which your guide will relate the story of the darkest stage of Saigon during The Vietnam War. Later, visit the Reunification Palace which used to be a symbol of the former government of South Vietnam. Keep your visit to the Central Post Office where you could spend several minutes on sending a postcard. Across the street is the iconic Ho Chi Minh landmark – the Notre Dame Cathedral – established by the French during the stage of 1863 – 1880. From Notre Dame Cathedral, you will walk to the Opera House built in 1901. Shelled during the WWII and used as the shelter for French people fleeing North Vietnam in 1954, the Opera House reassumed its basic function as the theatre in 1975. Complete your afternoon with the speedboat cruise to explore the riverside communities of the low-lying city. You might be surprised at the life here because there are people living in the instable stilt houses alongside the rich in a prosperous megacity. Then, come back to the pier at about 6 pm and transfer to your hotel. This tour just last for half of the day and offers a hands-on lecture on how to shop and cook authentic Vietnamese specialties. It starts with a transfer at about 8.00 am from your hotel where the tour guide and the driver will be waiting for you. After that, travel to Ben Thanh market of the downtown to meet the local chef. Shop at Ben Thanh Market’s stalls and learn how to stop best spices, herbs and sweets. Choose the veggies for the culinary pursuits of your day. 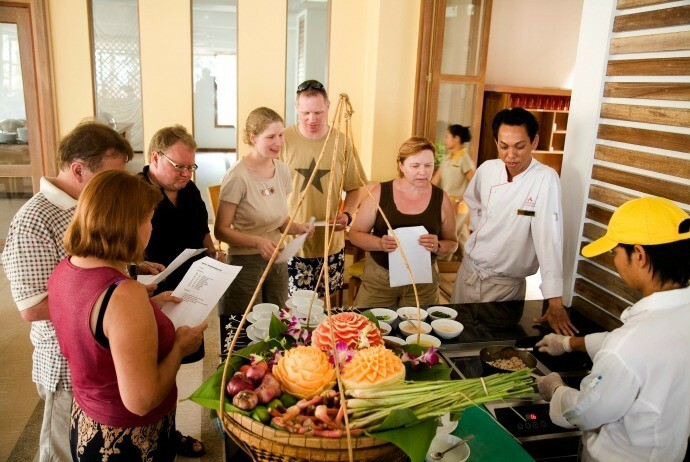 Then, you will learn some basic rules of southern Vietnamese specialties at the Saigon Culinary Arts Center. Basing on the time you are travelling to Ho Chi Minh City, the local chef might introduce to you some dishes, from Banh Xeo, which is a rice-flour crepe, to Che – the dessert which is made from tapioca balls along with candied fruits. On the contrary to the food in North Vietnam, southern cuisines are generally spicier and sweeter. As so many people from southern areas of Vietnam have emigrated to the U.S and many other countries, many places around the world associate Vietnamese specialties with southern preparations. Start from your hotel and head to Ben Tre delta town, the beginning spot of your tour. Then, take small boat to start touring the area known as the rice bowl of Vietnam. Vietnam nowadays is one of the top rice exporters of the world and the ideal climate of Mekong Delta is great for farmer to produce 2-3 rice crops annually. The other main export is seafood, particularly catfish and shrimp. Your boat will arrive at a local artisanal factory in which workers process coconuts by separating the oil, flesh as well as husks will be used in those products like candy and matting. Then, you will transfer to the Le Jarai, the converted rice barge to keep going on your cruise along Mekong River. There, you could take part in an illustration of Vietnamese cooking prior to enjoying a three-course lunch of Mekong cuisines like claypot. After having lunch, you take in the river scenery when you return to Ben Tre and come back to Saigon. From Ho Chi Minh city, you fly to Danang, one of the most populous cities of Vietnam. There, you will take a 40-minute drive to head to Hoi An ancient town. Many of the colorful buildings in Hoi An have been refurbished, and the UNESCO has recognized this town now has such a vintage vibe. Hoi An is full of interesting things to contemplate and do, such as art galleries, expert tailors, and boutiques, apart from the tasty noodle dishes. At night, the riverside promenade turns into the pedestrian-only street. Watch as local people light up the floating candles and set them free on Thu Bon River. In the morning, you visit the local market selling produces before cruising along Thu Bon River to head to Red Bridge Cooking School. There, you can stroll around the herb gardens of the school and learn a cooking lesson. The chef will carefully explain the secrets behind popular Hoi An cuisines. This town is renowned for the dishes like Mi Quang – a noodle dish featuring with boiled quail eggs and baked rice cakes, and Cao Lau – the medley of pork slices, yellow noodles, and pickled hot peppers. Then, spend your afternoon on lazing on the beautiful beach or get the last minute fitting at the local tailor. Among tours for Vietnam adventure holidays, this tour will surely give you unforgettable experiences about various lands in Vietnam. Today, you will drive along one of the nicest stretches of road of Vietnam, the Hai Van pass, and go on to the former imperial Hue capital. Spend the afternoon on exploring the Citadel, which used to be the power seat for Nguyen Dynasty. In the evening, you will enjoy a talk with the local chef to learn about the cuisine of the region before having an authentic dinner of Hue. Do not miss trying the tapas-sized, petite cakes made from tapioca flour or rice. They are really tasty! After having a breakfast, you visit the Mausoleum of Minh Mang Emperor. This may be the most impressive among the tombs of Nguyen Dynasty Emperors. This tomb is a complex of 40 different buildings made up of temples, palaces, and pavilions. The tomb is a perfect combination between man-made architecture and the nature that sits in balance with the surroundings. Later, in the afternoon, you take a flight to the capital of Vietnam, Hanoi. After checking in your hotel, have a dinner at one of the oldest restaurants of Hanoi. Cha Ca, the specialty here, is a perfect aromatic blend of fresh dill, grilled fish, vermicelli rice noodles and peanuts. In this morning, you will visit resting place of the founding president of Vietnam – Ho Chi Minh mausoleum, and the first university of Vietnam – the Temple of Literature. After that, stroll down the iconic symbol of Hanoi – Hoan Kiem Lake as well as nearby Ngoc Som temple. Take a cycle ride around the bustling old quarter and explore narrow streets of this quarter at your own leisure. In the late afternoon, start your adventure around the street filled with food vendors. Sample “Bia hoi”, the local brew” is an extra-carbonated draft beer tracing its origins to Eastern Europe. Then, feast on the tasty Vietnamese flame grilled barbecue of tofu, meats, and veggies on skewers. In the evening, take a walk around Hoan Kiem Lake and have a dessert at the most famous ice cream parlor of Hanoi. However, it is worth noting that Ho Chi Minh mausoleum is normally closed afternoons and every Monday and Friday as well. And, if there is heavy rain, then the itinerary might be changed by visiting a covered noodle stall. On this day, you will experience an all-day cooking course at the Cooking Centre of Hanoi. 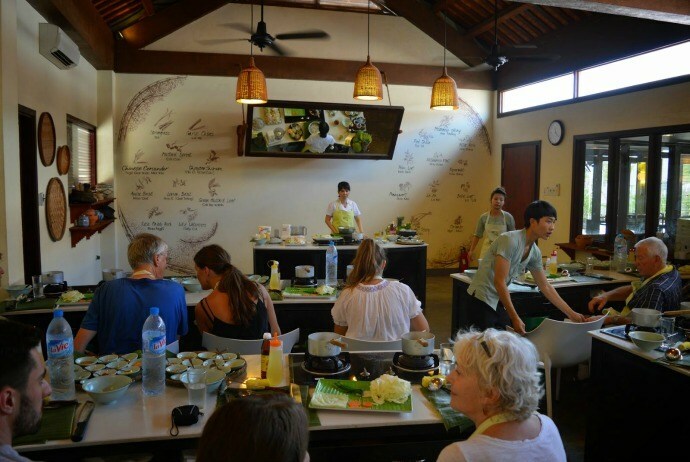 The centre is considered the best spot in the capital to help you obtain a hands-on understanding of the cuisine of Vietnam, and its owner has successfully written a lot of cook books about the best-known dishes of Vietnam. On arrival, you will sip a welcome tea and then your chef as well as guide will experience the basic information about the dishes you are going to make. Walk to the Chau Long market located nearby to shop for what you need to buy. Strolling around hundreds of stalls that sell all things from silkworms to pumpkins, you can take in the smells and stop for taking pictures with the local vendors. After that, come back to the centre for learning how to make a traditional special dish. Also, you will have an option to buy some tools and species used during the class. It is time for you to savor some of the last sounds, sights and snacks when being in Hanoi. Then, you will transfer to the airport for an onward flight. To be honest, this tour is rather difficult and is not suitable for those with average level of fitness. When it comes to Vietnam adventure holidays, this might offer the most exciting and unique experiences. Discover cultural diversity and nature of Sapa, which used to be the French colonial hill retreat in the northern area of Vietnam. In the adventure in which you will trek up to the elevation of about 1600 meters, you can explore many villages of ethnic-minority groups. Then, trek via the terraced rice paddies as well as tropical jungles, stay overnight in the home of a local family. This is an adventure that you will not forget. Departing from Hanoi in the evening, you can board an overnight train to Lao Cai, a town on the border of Vietnam – China. During the train drive, you can snooze in the comfortable sleeper berths. In the early morning of the following day, you will arrive in Lao cai. From Lao Cai, you will drive about one hour west along the stunning, enormous mountain road to hit the town of Sapa. If you want, take a nap or just simply snap some pictures of the distinctive rice terraces rising hundreds of meters from the valley ground. You will be arriving in Sapa, surrounded by mist-shrouded mountains as well as ethnic minority villages. In this day, you can explore the surroundings with a trek to the villages nearby where local people dress in distinctive, bright clothing which is typically colored with the indigo as well as other native dyes. In the morning, you jump into a jeep whisking you to the starting spot of your trek. Walk through the lush Ban Ho Valley to the Thanh Phu village, having a stop off to meet locals of Tay ethnic minority group. Take a peek into their houses to watch how rural life will be like in the mountainous areas. After having lunch, you keep walking to your point of homestay in the Sin Chai village, in which the locals are from Red Dao ethnic group. After having a dinner, you can chat with the hosts and get to know about their traditions as well as culture. 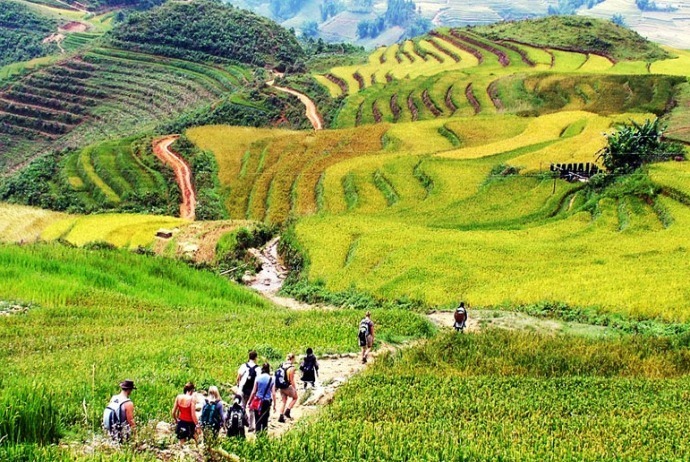 After enjoying your breakfast, start your new trek with a leisure walk downhill to the My Son village belonging to the Xafo ethnic group, one of the smaller groups in the northern area of Vietnam. Most tourists to Sapa do not have the chance to meet them. From this village, you continue walking for about 90 minutes to Nam Toong, the village of Red Dao ethnic group, for lunch. After that, descend to the Ban Ho village for a dip into the nearby waterfall named La Vie. Later, towel off and drive back to Lao Cai, from which you will take an overnight train back to Hanoi. Your tour will finish when you come back to Hanoi in the early morning of the last day of the tour. The difficulty of this trek tour is in between medium to difficult. Therefore, an average to above the average fitness level will be required. With this 2-day tour of Vietnam adventure holidays, you will go deep into Dalat’s jungles on a trek, traversing the mountain ranges and spotting wild gibbons within the forest. Then, camp overnight at the famous Tuyen Lam Lake and see the villages of ethnic minority groups along the way. You will start you trek from Razorback Trailhead with the amazing views of Dalat as well as Langbian Mountain from the distance. Go along the ridge line via parts of broad-leaf evergreens and stop for having a picnic lunch before taking a rest. After that, descend the ridge along the jungle paths in order to emerge into such a small clearing of the pine forest by Tuyen Lam Lake that is the campsite for the night. Let your tiring legs rest a little bit and take a refreshing swim in the lake. Today, you will get out of the pine forest and walk into the jungle for another trek. Keep your eyes out for the wild orchids in bloom or if you are lucky enough, you will see wild gibbons. Because the jungle begins to thin out towards the Elephant Mountain valley, you can see ethnic minority farms dotting on the landscape. Keep walking to the Chicken Village, in the mid afternoon, you will arrive and be transferred back to Dalat. The last tour in regard to Vietnam adventure holidays is Mai Chau trekking tour that last for 4 days and 3 nights. With this tour, you can visit the highlands of Vietnam – Mai Chau, and see the natural pristine beauty of jungle-clad limestone mountains, tea plantations, waterfalls and patchwork quilts of the green rice fields dotted along this landscape. The area is also home to many ethnic minority groups with their special culture, traditions and beliefs. On arrival, you check in the Mai Chau Lodge and try out the facilities of the lodge. In the morning, you will cycle around the surrounding areas of the low lying villages. After having lunch, you drive to the Sa Linh village of H’mong and take a hike of three hours along the jungle paths to Hang Kia village, in which you will stay overnight with the local host. This day, you will get off the beaten track when trekking through tropical rainforest with the help of local tracks, and passing via cornfields when descending into Mai Chau valley. In the late afternoon, you will arrive at a village named Van and spend your night staying in a traditional local house. 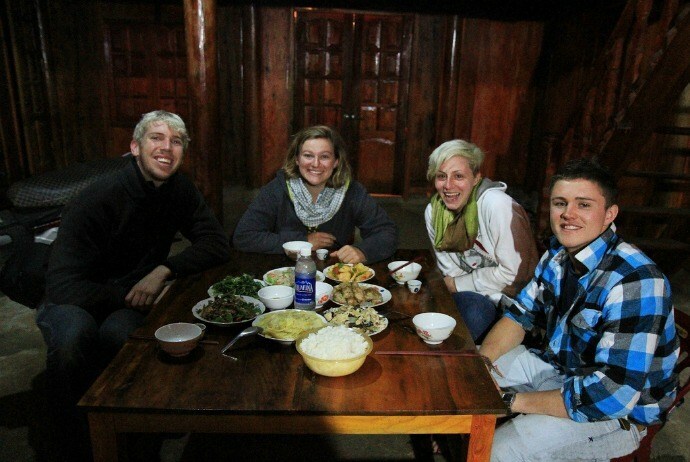 Have dinner with your local host family and try some local homemade rice wine after that. In this morning, trek to Xam Khoe village for a rapid chat with locals. Then, there will be a vehicle transporting you to Mai Chau Lodge. After that, relax yourself by a swim in the pool or simply enjoy the Jacuzzi.